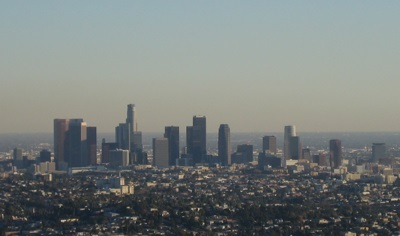 Los Angeles, known as the "City of Angels" or "L.A.", is the most populous city in the state of California, and the second most populous in the United States over all. As of 2006, Los Angeles had an estimated population of 3,849,378, the Los Angeles�Long Beach�Santa Ana metropolitan area had an estimated population of approximately 13 million, and the Greater Los Angeles Area had an estimated population of over 17.7 million people. Los Angeles is internationally famous as a center of culture, media, technology and trade. Especially well known is Los Angeles' contribution to the motion picture (Hollywood is a district of Los Angeles), television and popular music industries.